Have you had someone try and open your car only to find car damage to your lock linkages or damage to the inside door panels or crease marks on your paint from using the wrong door wedge? 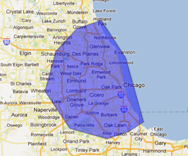 Although we are known as the best in towing company in Chicago, we are also the best at unlocking vehicles. We have an array of the latest door tools and you can trust us to get your door open. We can unlock your vehicle without breaking anything and without even sounding the alarm.